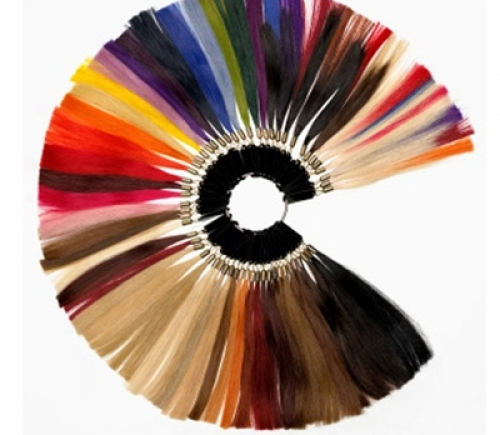 The Remy hair extension range is carefully selected for the highest possible quality. Cuticles are intact and laid in the same direction as your natural hair. This will provide a smooth texture and will result in longer lasting hair extensions. Extensions are available in lengths from 14 inch to 22 inch although we can order extensions up to 26 inch long but there may be a longer delivery time. Hair extensions are available in over 100 colours. 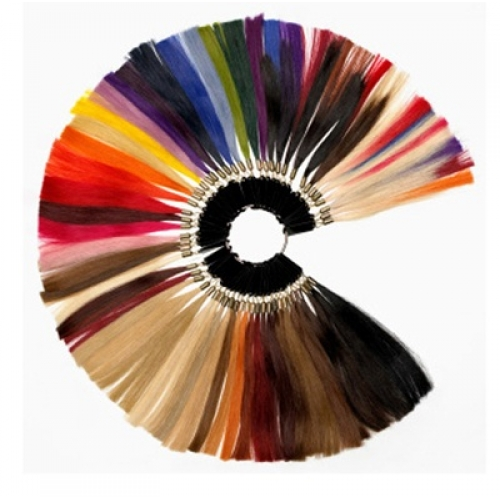 From natural shades to extravagant bright colours, beautiful dip dyes and blended mixed tones. All extensions we use are either 0.5 gram or 1.0 gram, mostly I use 1.0 gram as this weight is perfect for adding length and thickness. I only use 0.5 gram if using extensions for highlights or the client has very thin or fragile hair. With extensions that are in bonds, example: micro, I tip, Nano and Fusion, the total weight of each strand is 1.0 gram, whether it is 16 inch or 22 inch, each strand will still weigh 1.0 gram. This means that a 22 inch extension would appear to be thinner than a 16 inch extension as is is longer, This does mean that if you are having 22 inch extensions you might well need a full head instead of a 3/4 head so that there is enough hair to blend perfectly.